This engaging sitcom stars Joe McGann as Charlie and Diana Weston as Caroline, with Avengers siren Honor Blackman as Laura and future Bad Girls star Kellie Bright as Charlie’s streetwise daughter, Joanna. 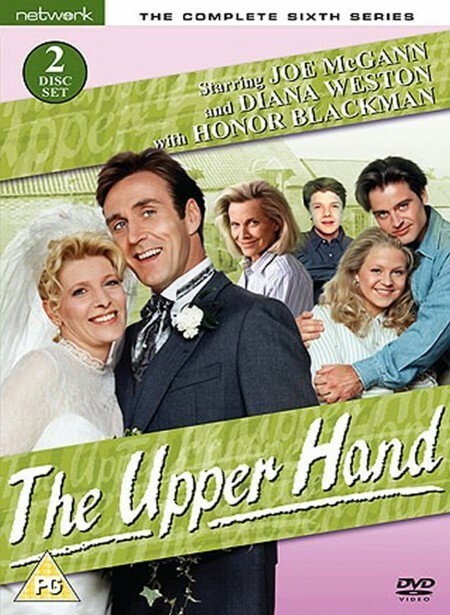 The Upper Hand, based on scripts for the hugely popular US series Who’s the Boss?, was a major success for Central and ran for seven series. Presented here is the complete sixth series, also featuring guest appearances by Bob Monkhouse, Dale Winton, Anthony Newley and Frank Thornton and an hour-long ‘wedding day’ special.